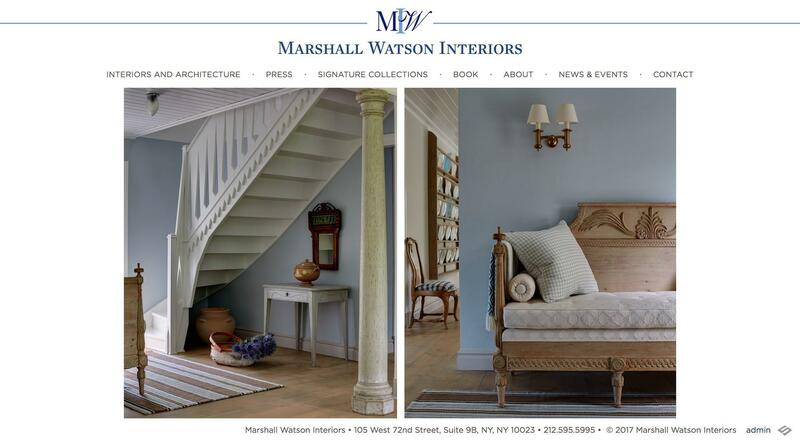 We are thrilled at the opportunity to create an excellent new site for Marshall Watson Interiors. 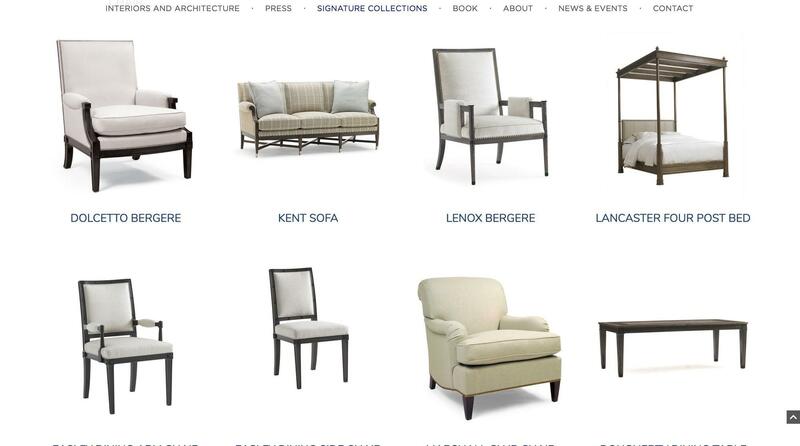 By keeping true to their branding and the aethetics of their new book, we were able to create a responsive and elegant site to match the company's impressive body of work. We created a custom portfolio for Marshall Watson that loads the main image in grid blocks, clickable to detail images with popovers that serve as a gallery. 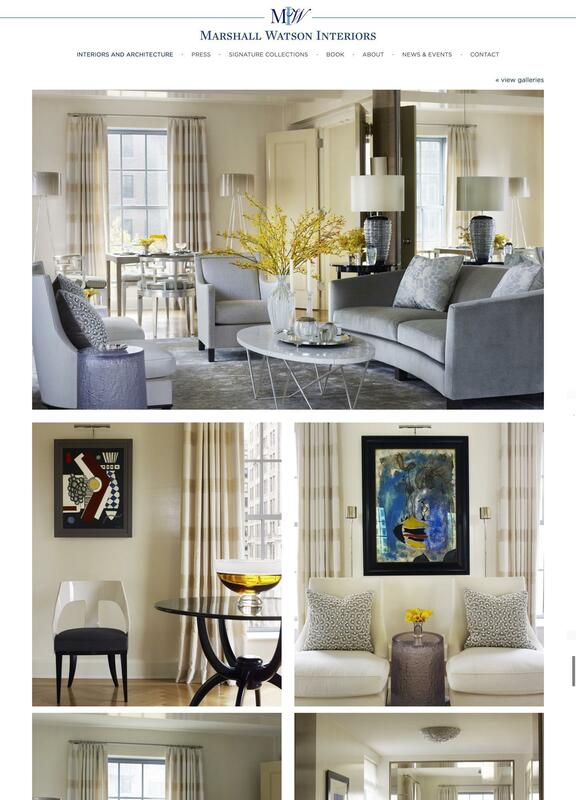 Once you choose a project from Marshall Watson's main portfolio page, you get a variable grid of thumbnails set both as portrait and landscape, allowing you to scroll down to easily see all the image without using the gallery popover. This works well for users in a hurry or who want to get an overview. Marshall Watson has gotten some seriously good press. We formulated a custom module to help them showcase their best citations. 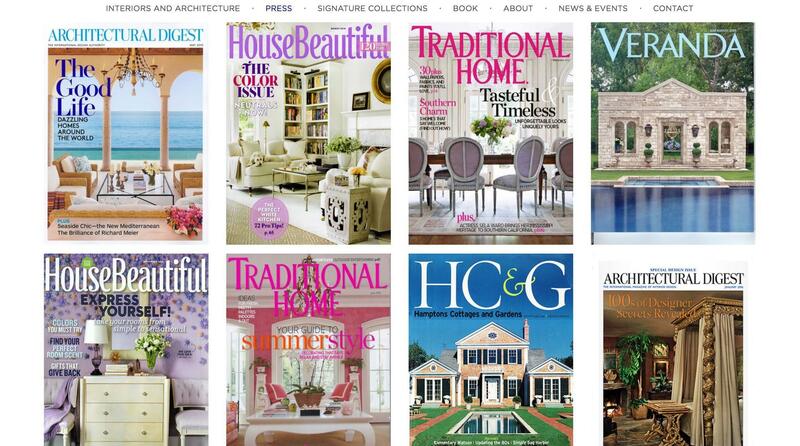 It works like their custom portfolio, but it focuses on showing spreads and individual pages from the magazines in which they are featured. As with all our work, the section is easily edited without the need for a confusing admin area. 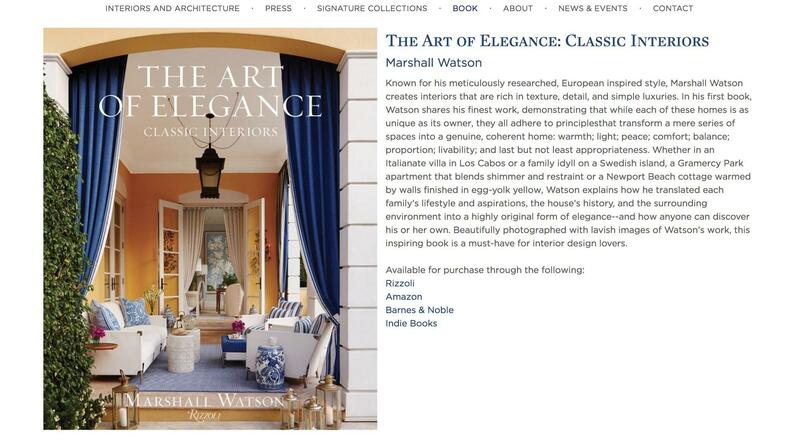 Marshall Watson has his own lines of furnishings for sale at 3rd party sites. 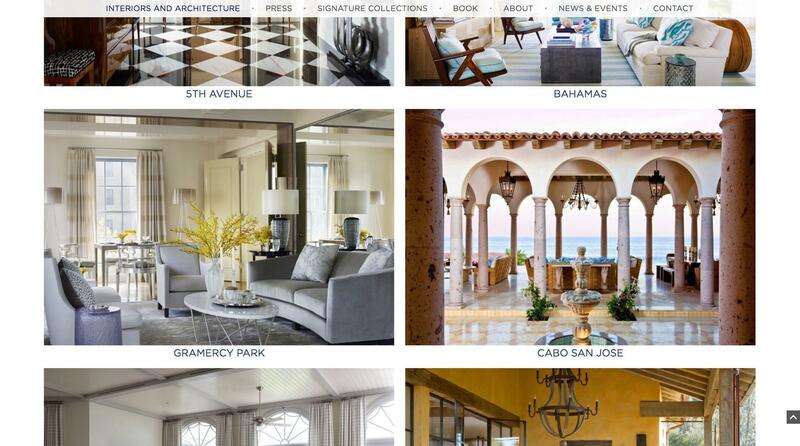 We enabled them to showcase them on his own site to more easily convert visitors into customers. Mobile design is important. 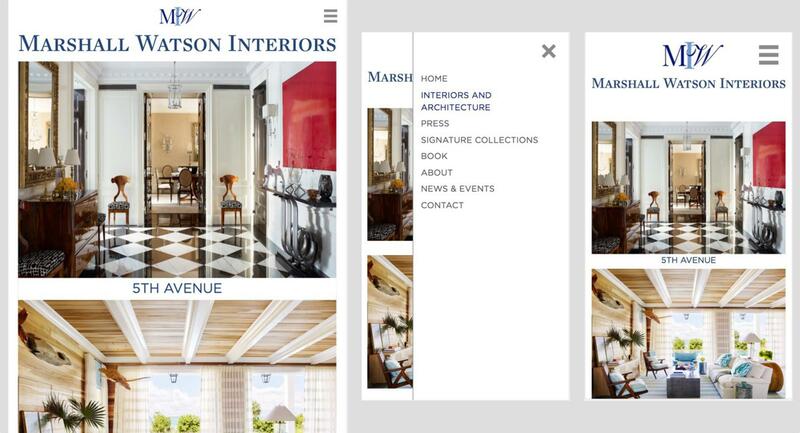 We preserved the style and unique branding for mobile and tablets so that visitors will get the sense of the Marshall Watson brand regardless of how they visit the site.